Keen walkers with a generous heart are being invited to get their boots on and stride out on a 28-mile route through Oxfordshire’s most beautiful countryside – all in aid of ROSY. 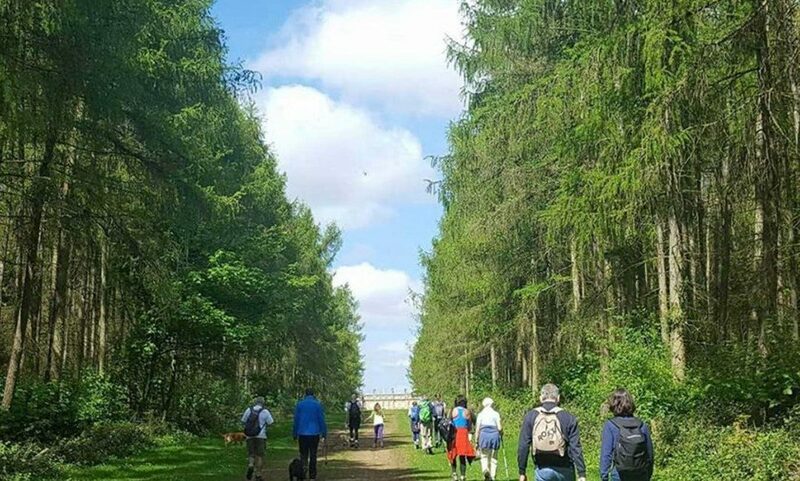 The Great Estates Walk, now in its 11th year, takes in three great estates of Blenheim, Ditchley and Cornbury and is organised each year by Lady Tania Rotherwick, patron of the charity. ROSY (Respite Nursing for Oxfordshire’s Sick Youngster) is part of Oxford Health Charity and its fund pays the salaries of 12 NHS respite nurses who provide additional care to children with chronic, life-limiting and terminal illnesses in their homes. The 2019 walk will take place on Saturday, April 27 and aims to raise enough funding to cover the salary of a respite nurse. Every walker is asked to raise through sponsorshipor donate a minimum of £250. The route starts in Wilcote, winds through the Cornbury Park Estate and the Wychwood Forest to Ascott-under-Wychwood, Pudlicote, Dean, Ditchley, Blenheim before turning back via Stonesfield and Combe to finish in Wilcote. Lady Rotherwick became involved with ROSY following the loss of her second child, Tommy, to severe disability. She spends time interacting with the families and nurses and the walk she organises raises tens of thousands for the charity every year. She said: “It’s always a memorable day, walking alongside interesting people through some of the most beautiful Oxfordshire countryside. “We meet for coffee at 0730 with a view to setting out promptly at 8am and will finish around 7pm depending on the length of stops along the way. “It is a long but very beautiful walk, accompanied by lovely friends and for a cause dear to my heart. “The walk is not a race; the pace is brisk but we regroup frequently and are rewarded by a wonderful coffee stop with friends at Pudlicote and a picnic lunch on the terrace at Ditchley Park, one of the loveliest houses in England. Or if you can’t make it but would like to support the intrepid walkers on their mission by donating to ROSY, please visit ROSY Great Estates Walk and make a pledge.